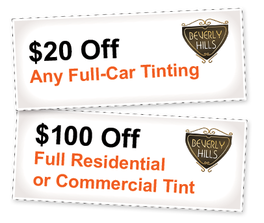 Beverly Hills Window Tinting & Treatments announces that a new energy efficient window film tax credit has been approved by Congress, which covers 10 percent of the cost of residential window tinting, for materials up to $500 in value. FORT MYERS, FL (02/12/2013) — Beverly Hills Window Tinting & Treatments announces that a new energy efficient window film tax credit has been approved by Congress. A release issued by the International Window Film Association (IWFA) stated that homeowners now have an opportunity to receive tax credits in 2013 for energy efficient upgrades. This includes upgrades that are planned for 2013, or those made in 2012. Window Film is one of the elements that is eligible for these tax credits. 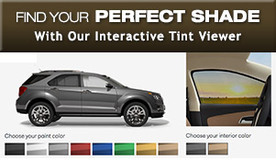 The tax incentive covers 10 percent of the cost of residential window tinting, for materials up to $500 in value.